Fabricating Europe has within it a core idea, a crucial but imprecise idea, that of a European educational space, which transnational governance, networks and cultural and economic projects are creating now. Yet, the perceptible creation of this contemporary space of European policy making and networking has not been a subject of study. 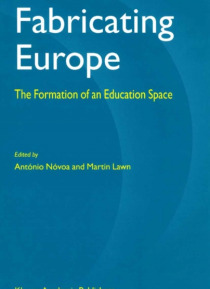 It appears offstage in studies of national systems in which n… ational and professional identity; political organization; policy formation and public/private markets are all viewed as contained within the borders of the state.Fabricating Europe is concerned with the new possibilities to be discerned and imagined in the European public and institutional spaces and discourses in education and the lack of impetus within the broad area of educational studies to meet the task of creating analyses and responses.